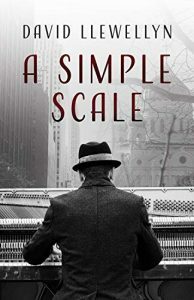 David Llewellyn’s A Simple Scale sets out to provide the reader with a profoundly humbling experience: the attainment of the understanding that all our lives are ultimately at the mercy of the tides of history and that we and our fellow men are undeniably responsible for how that history plays out. Llewellyn explores this idea intimately through the perspectives of three people, into which the narrative voice dissolves: Natalie, a troubled New Yorker, struggling with the trauma she developed after witnessing the September 11 terrorist attacks; Sergey, a Soviet composer who survives the war and his 12-year-long stay at the Vorkuta Gulag; and Sol, a closeted gay man who is desperately trying to rise above his unfulfilling job as a Hollywood movie composer in the midst of the Second Red Scare, whilst taking care not to attract unwanted attention from the authorities. This sense of uncertainty and vulnerability is paralleled in the phobia Natalie develops after the terrorist attack her city suffers, and her subsequent attitude towards the world. In all three cases, Llewellyn’s characters and the communities around them have ‘become a people scared’. They share a yearning for the lost innocence of earlier times, and an awareness of how people’s natures have become a reflection of the times they live in. In fact, it is the cycle this reflection fuels which Llewellyn makes a point of revealing: the environment which drives people away from their personal empathy and kindness, very clearly illustrated by the pervasively emotionally distant tone of the narrator, has been brought about by other people’s previous fears and cruelty. A Simple Scale makes a compelling argument for the fact that this ‘Hell we make for ourselves and others here on Earth’ does not merit any valid justification. However, the ominous tone and bleak outlook of the novel fall short of feeling all-encompassing, and are instead counterbalanced by brief but intense moments of hope – usually brought about by a contemplation and admiration of natural beauty or, more significantly, art. Regardless of all the suffering the characters are put through, each of them is able to find solace in the pleasure and self-expression of music. This art form is the one thing that transcends their physical and emotional trials, even as their perception and composition of it is altered. This remains true both during their lifetimes and once what remains of them is little more than their loved ones’ memories or old discoloured photographs. 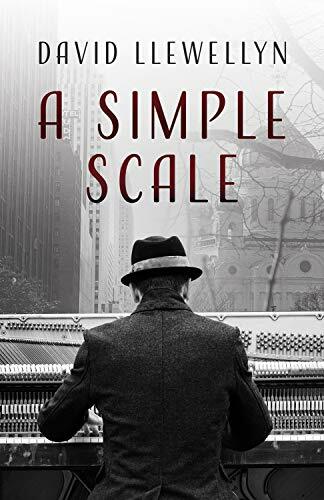 A Simple Scale, despite its oppressive exploration of the shortcomings of the human race and the communities we create, will leave you with a renewed reverence for justice and a commitment to kindness which surpass the cynicism both the novel and reality might sometimes let you fall into.